Rejoice in hope, be patient in ribulation, be constant in prayer. Hello, here is a quick reminder of the Creative Moments Challenge which started yesterday. 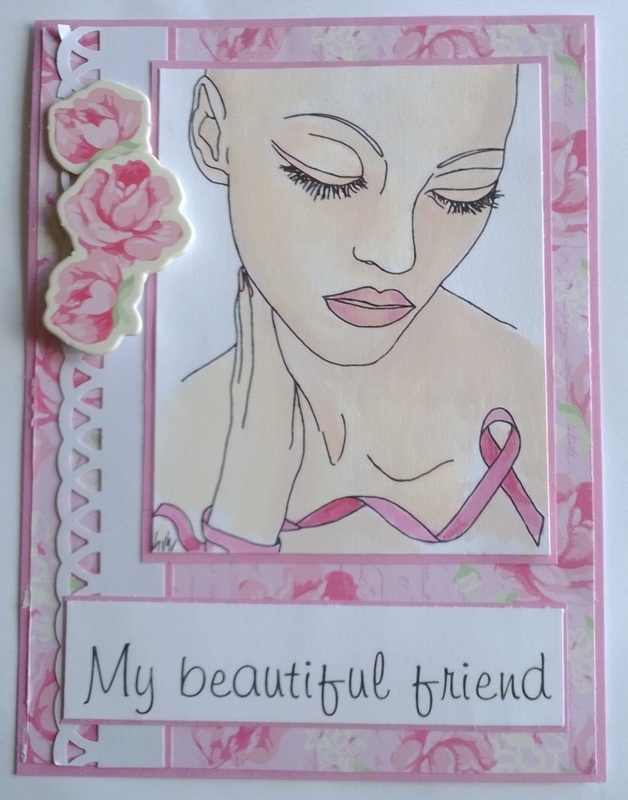 This is a lovely image is from Stitchy Bears and is ideal for friends suffering with alopecia or illness. I have coloured the image with Promarkers and made it into a card using papers called Parisian Dreams, which came free with a magazine earlier in the year. 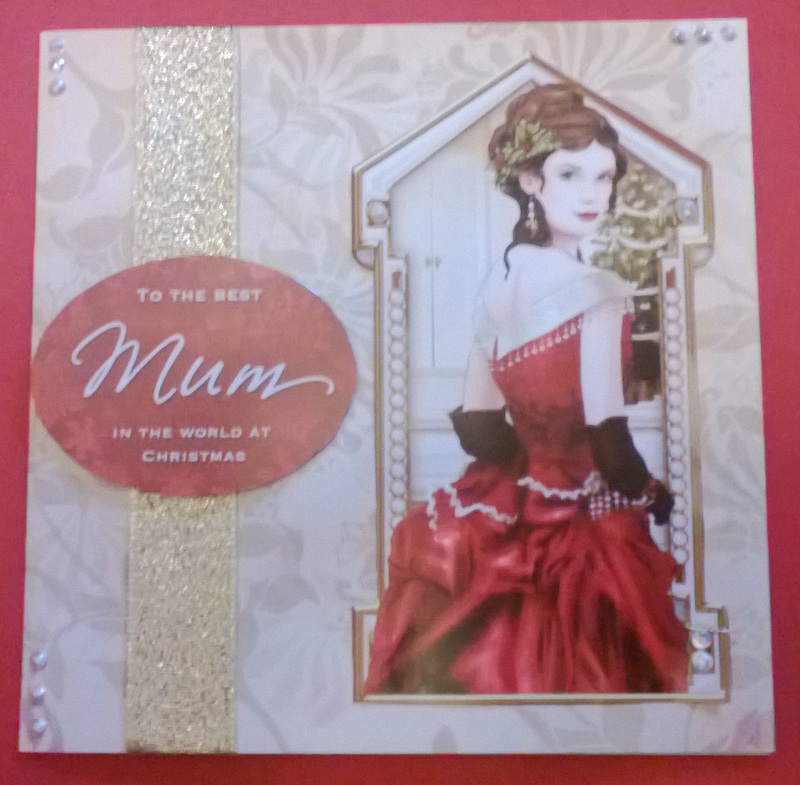 Hello, I have made a sympathy card for this latest challenge at Creative Moments. 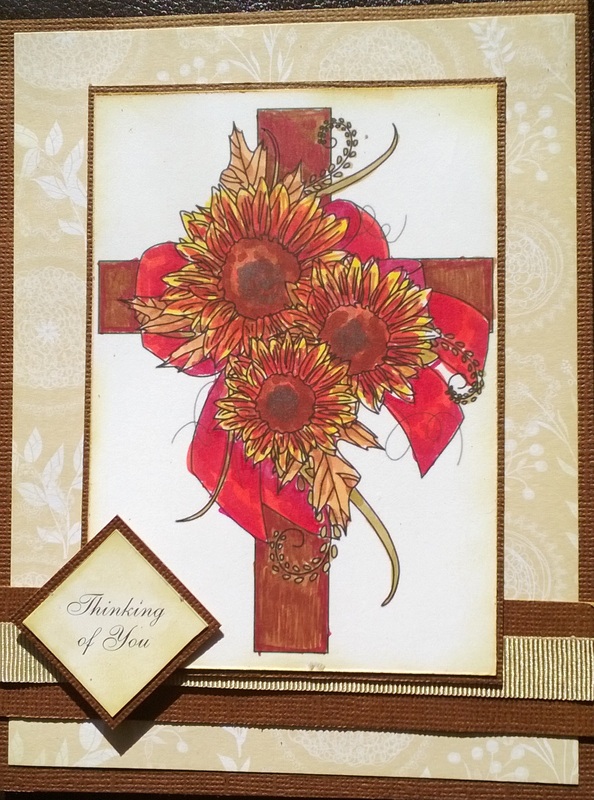 I used a Digistamp of a Floral Cross from Stitchy Bear who are sponsoring the challenge this week. 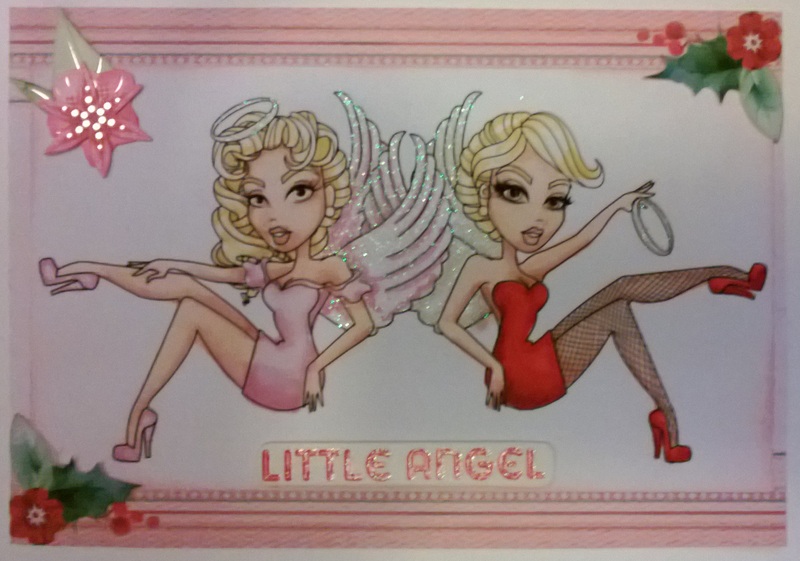 It was coloured with Promarkers co co-ordinate with the colour challenge listed below. The patterned paper is from Papermania and thw mats were Bazill Basics; the edges were inked witVintage Phote distress ink. 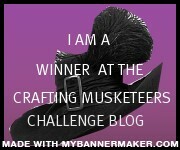 Please remember to enter the Creative Moments challenge. I had to have this digistamp when I saw it. It is from A day for Daisies and rather reminds me of myself! Her dress and wings were coloured with Antique Pink, Rose pink and Pale Blossom. I used a Graph’it blender to fade the colour out. Her hair was done with Cocoa, Walnut and Satin. See you again tomorrow for two posts! Hello, I am sharing a Hybrid card today. 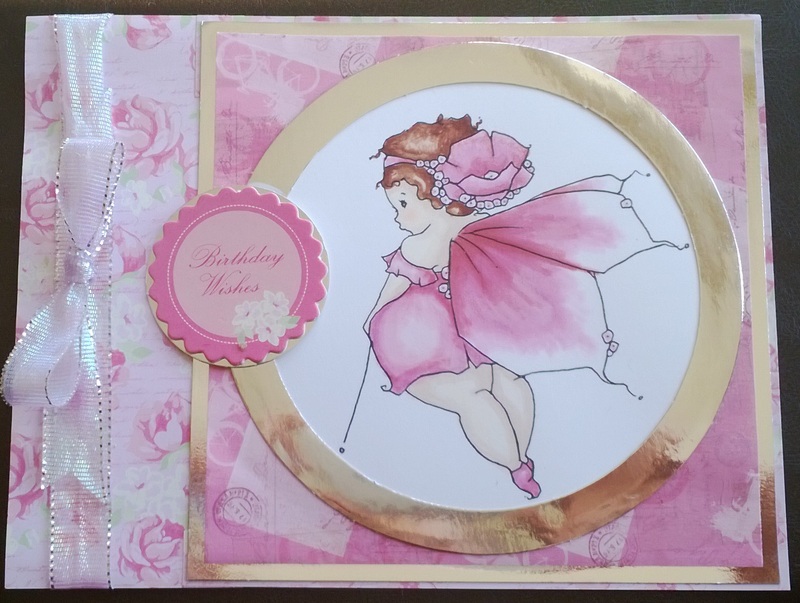 the main topper is from Debbi Moore, the sentiment and insert from Hunkydory and the patterned card blank isfrom Crafter’s companion’s Fairytopia range. I have used a scrap of ribbon and some liquid pearls to finish. Only 60 ays ’til Christmas! Hello, welcome to my second post today,which is a reminder for the ‘use some lace’ challenge over at Creative Moments. Our sponsors for this challenge are Sassy Studio Designs and Eureka, who are providing the prizes for the challenge. WHen I saw this digi from Sassy Studio designs I immediately thought “naughty or nice?” So here is my take on that. 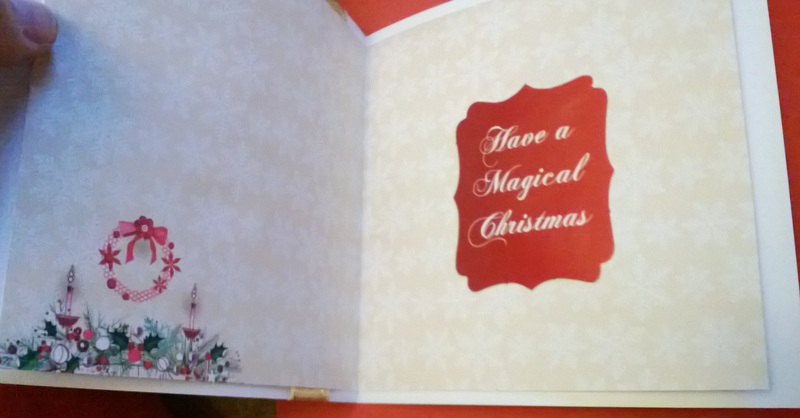 The backing paper is a Hunkydory insert, which was cut around to fit. The flower and leaves were also Hunkydory and the caption is a chipboard sentiment from Smirk. Greetings! 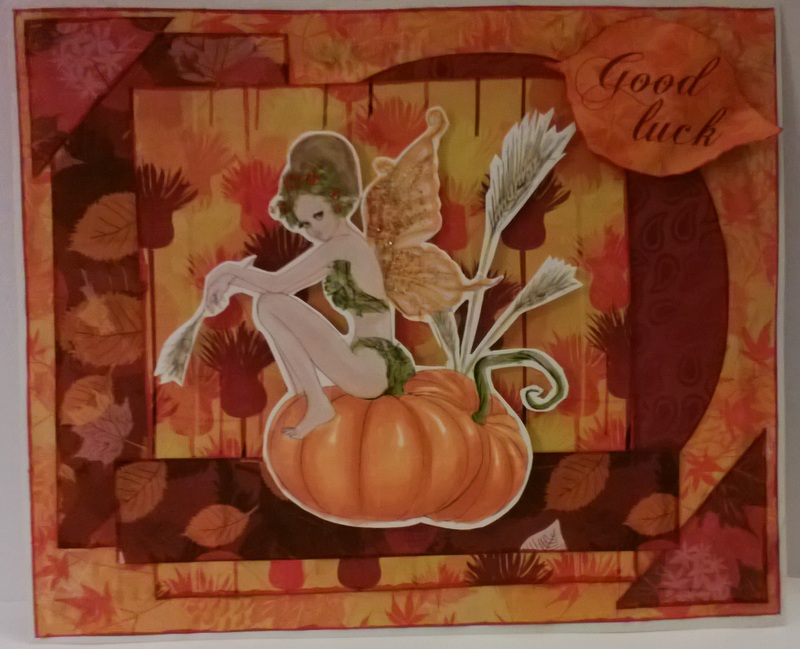 My Hallowe’en inspiration card is made using Autumn Nymph 2 available from the Scrapper’s Delights store. 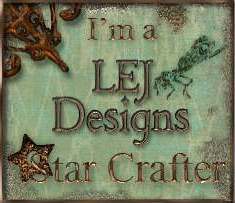 The papers are very old and were a freebie in Simply Cards and Papercrafts magazine. Good morning, today’s card is being entered into an Inspired by Stamping tutorial challenge. 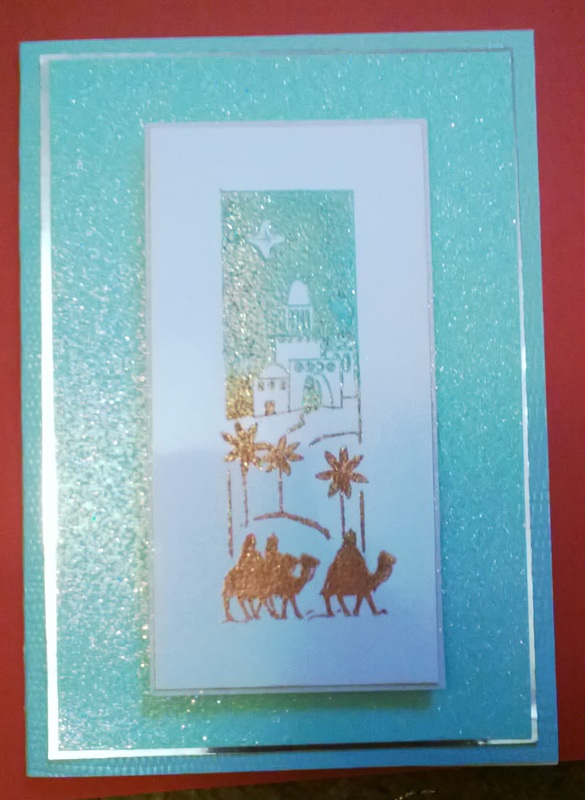 The image was stamped using a multicoloured inkpad then it was embossed using Papermania Enchanted Gold embossing powder, which is transparent but iridescent. The finished topper was layered up with mirricard and glittercard. I love the effect of what is a very simple technique.